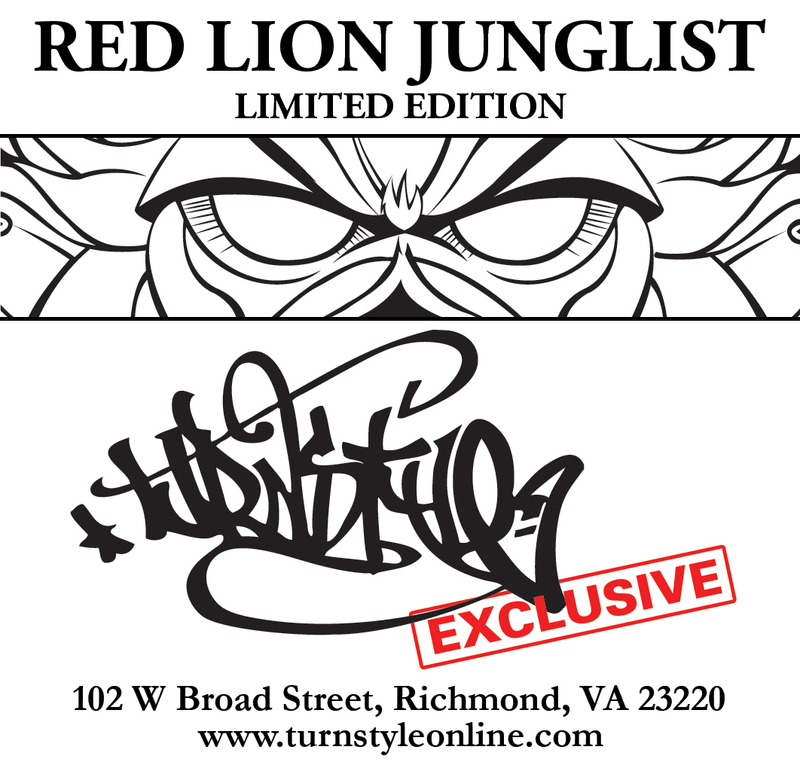 Red Lion Junglist shirt will be exclusively available at Turnstyle (Richmond, VA) through March 2013. 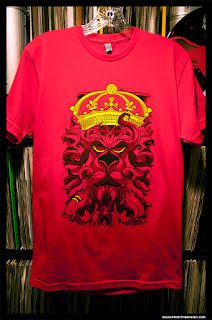 Turnstyle has graciously partnered up with From the Annex, to bring the Red Lion Junglist shirt to the masses. 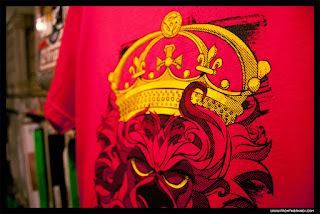 Illustrated by Ocean Eiler for From the Annex. 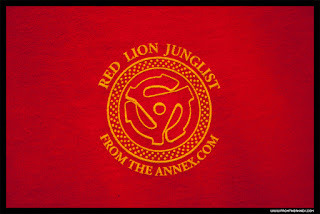 In 2012, Ocean started this project to illustrate Jungle / Drum & Bass. After many attempts including eagles, bears and classic music hardware he settled on the lion. Strong, caring, fierce and wise these are all characteristics of the scene & the music we love. Also its a strong icon for both England & Jamaica where this music was born & got many of its influences from. The drawing itself had to be complex, simple, bold and calming. He also wanted to give a nod to some of his favorite skateboard illustrators from the early 1990's. These shirts will be available Friday March 1st, during Richmond's Artwalk. Kicking off this exclusive, come check out live Vinyl DJ's playing Jungle / Drum & Bass and a photography exhibit at Turnstyle. Opening set of smooth jazzy jungle from Richmond's first lady of beats & Turnstyle's dnb specialist. 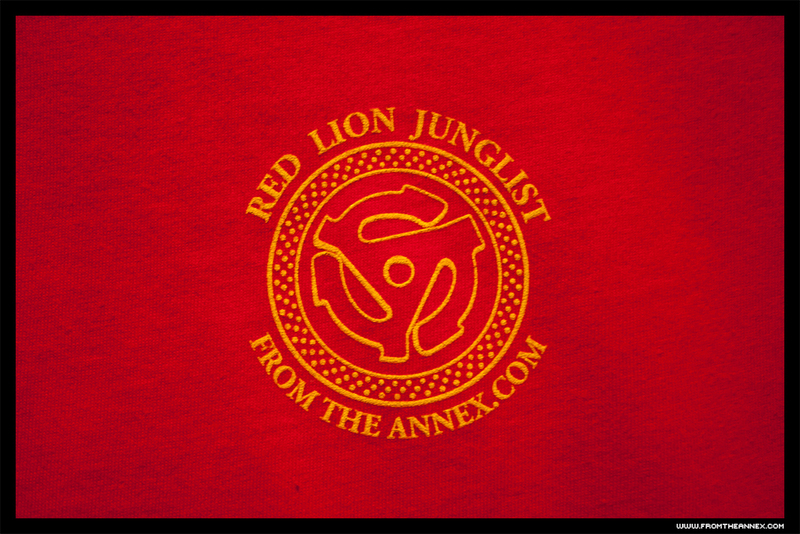 Our favorite Ragga junglist from DC returns with another fun, jump up, ragga style dnb set. Oldschool DC Drum & Bass DJ Rob One debuts on the Artwalk with his dope drum & bass skillz. A DJ Photographer from the 757 will be displaying large format prints framed of dance music DJ's & events from her portfolio. On display til April 30th 2013.